NOGALES, AZ – It’s easy to lose track of the facts when there’s so much political noise. President Donald Trump ran and was elected president two years ago in part because of his promise to be a better dealmaker. He called the North American Free Trade Agreement a horrible deal for U.S. companies and demanded better terms from neighbors Canada and Mexico. It looks like the United States Mexico Canada Agreement will deliver that if it can pass through a Democratic-controlled House of Representatives. In the meantime, business is booming at the U.S.-Mexican border. At the Fresh Produce Association of the Americas annual meeting Nov. 1, Bradley Hayes, the executive director of the Office of Trade Relations at U.S. Customs and Border Protection, said the group has seen a 25% increase in truck volume from Mexico to the U.S. in the last six months, which has driven a 10% increase in business over that time. Some observers say the House Democrats may demand changes to labor and environmental aspects of the agreement. 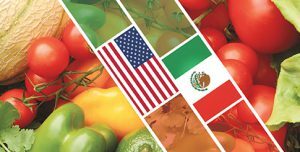 Martin Ley of Fresh Evolution, said on an FPAA panel that the USMCA relies on the strengths of all three nations, but with the U.S. and Canada both raising minimum wages, labor will be a bigger factor in the future. “It’s inevitable to address the labor component because for Mexico, that’s a strength,” he said. Trump wasn’t shy about pointing out Canada’s and Mexico’s advantages in NAFTA, but the way the two so quickly agreed upon the USMCA shows how important trade is in North America. While the newly in-charge Democrats in the House may get some concessions, I don’t see them derailing the deal because there would be far more losers than winners.